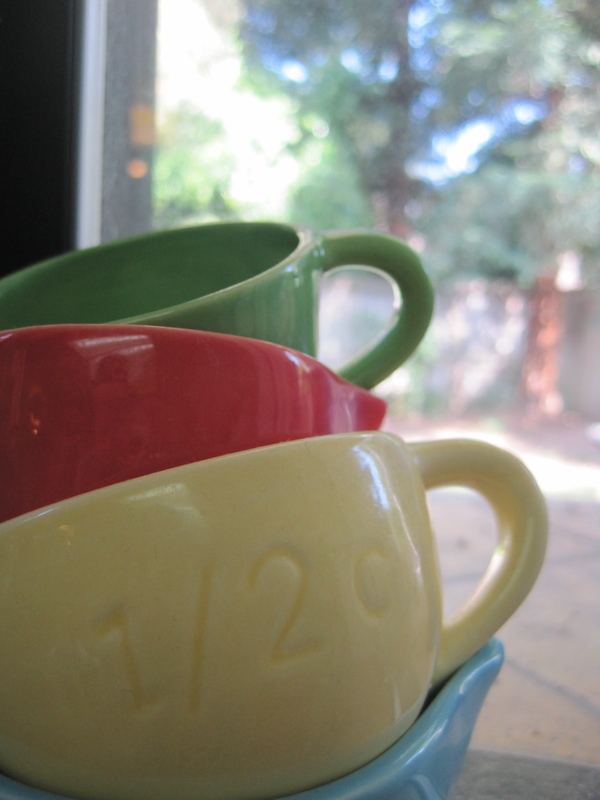 When your day is long, remember the measuring cups in the window. If you’re very lucky, they’ll be in bright colors, stacked precariously on the tile. 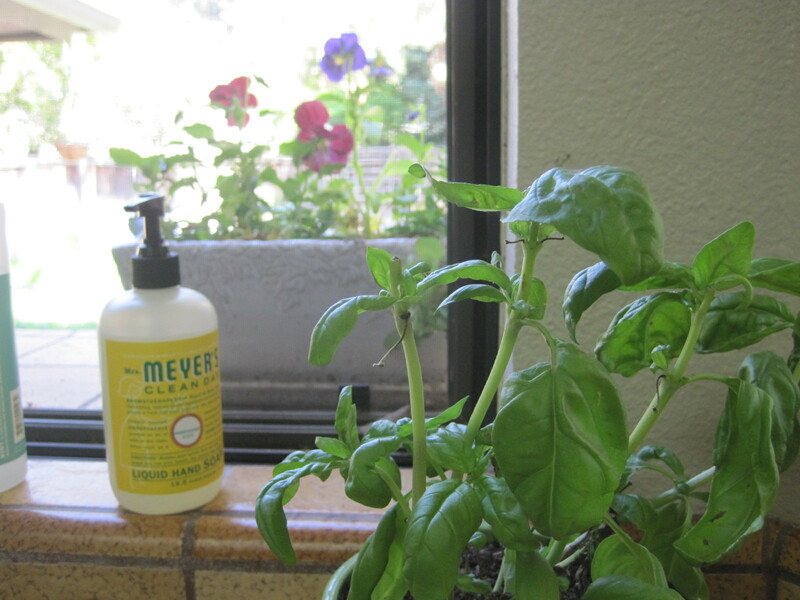 When the dishes are piled and stuck with food, when your Significant Spouse rinses his cereal bowl on the wrong side of the sink, take a breath and smell basil before you scream. There are two sides to life: the Dirty Sink Side and the Pansies In The Window Side. Pick one. Wash your hands in honeysuckle soap and roll up your sleeves. Life is good, even with the messes. When your boy insists on dumping dirt on his brothers, whatever. 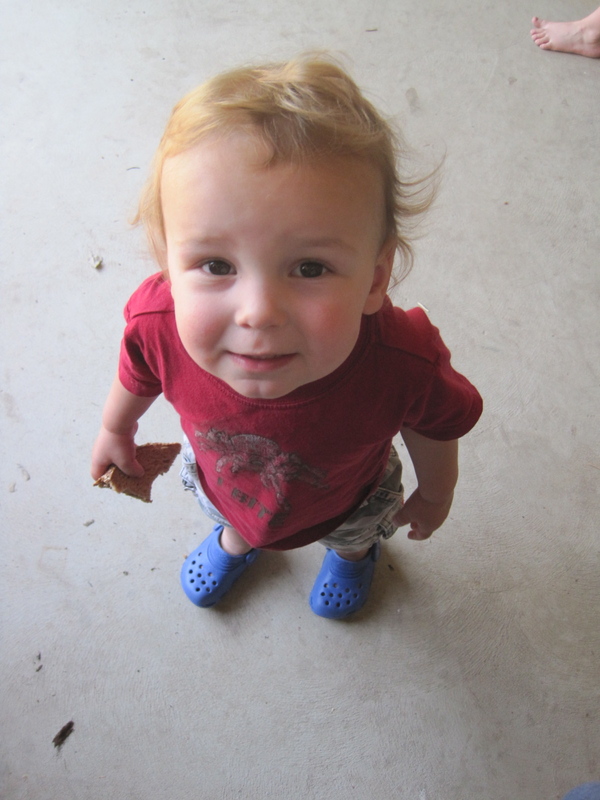 Crocs and children are washable. Try not to freak out when the baby puts his sandwich in the dust and then eats it again. Immunities aren’t built in a day but picnics are priceless. As the day gets longer, find some paint. 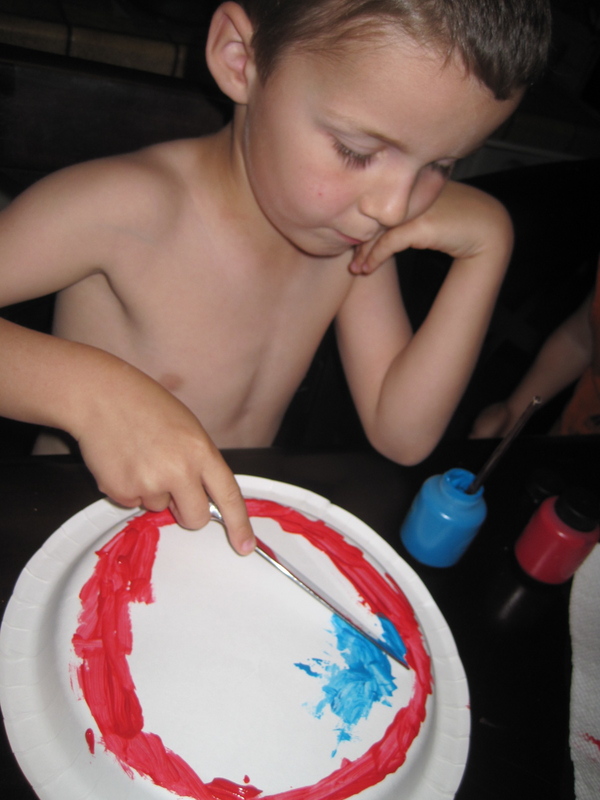 Hand your kid a paper plate and primary colors, grab some coffee and watch the magic happen. 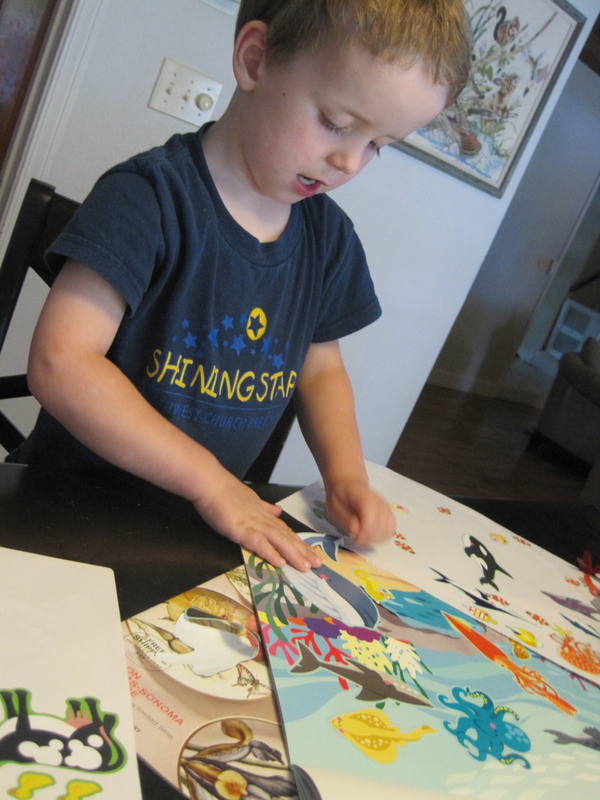 You can make it to bedtime with a drawer full of Tempera. You can make it through any mess if you pick the right side. Find your measuring cups and follow the path all the way to whales at 3 p.m. When things are dark and flu-like there’s always another side, and it’s glorious. Oh girl. I LOVE that honeysuckle soap and it DOES make the whole thing better. I am so glad that you write. Truly. You really have a wonderful gift for writing…enjoy your very blessed nest this Mothers Day weekend! WHO is flu-like? Not you, right? You're all better, right? RIGHT? Also I've found paint to be a magical thing for my boys as well. Can my boys and i go to your house on our next long day? I could use being around your perspective! good sound advice. not that i will remember to use it. although, i do remember to use the honeysuckle soap a zillion times a day. yesterday my kid ate playdoh, a crayon and the tip of a marker. i may not make it through her childhood without gagging every few minutes. she may not make it from all of the germs she consumes in a day. Except : NO to the sig spouse dumping cereal on the wrong side. Just, WHY??? Happy Mother's Day. You're a champion. I'm so glad God filled His measuring cup with you and poured it into my life. Love you, friend. My kids are getting older so it is not as hard, but I remember 3-5 being such a hard time.